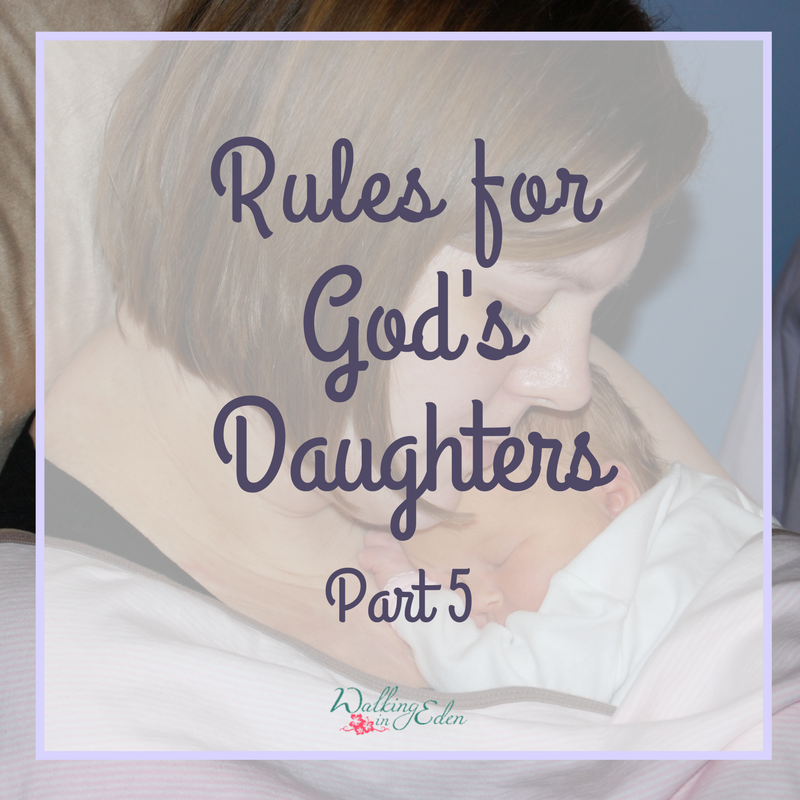 Welcome to part 5 of “Rules for God’s Daughters”! If you’re just joining us, this a 6-post series based on a “copy and share” Facebook post I read recently. You can read all about that, and see the full list in “Rules for God’s Daughters: Part 1“. To recap: This list really resonates with me as the mom of a young daughter – but it also set off some warning bells. The Bible says to “test everything” (1 Thessalonians 5:21), because one of the devil’s greatest weapons is subtle lies: things that look good or feel good but are just a little twisted from God’s truth. We must not view anything with worldly wisdom, but with God’s. His ways are not our ways, and his wisdom will seem foolish to the world. So I challenge you again: “question everything” and hold it all up to the Bible – our only source of absolute Truth. Here are points 21-25! God’s version: Ask for what God wants. This is what most of us miss: we must ask according to God’s will. God’s not a genie, granting wishes. But he will answer when we want what he wants. There’s the rub. So how do we know what he wants? Study the Word. Get to know him. It’s a lifelong process – and why prayer is such a hard thing for so many. Want a really good book on prayer? There are so many, but here’s one of my favorites: Prayer: Does It Make Any Difference? by Philip Yancey. God’s version: Pray to the Creator of the stars and dandelions, the get to work. Wishing on stars and dandelions sounds fanciful and empty to me at best, wicked and idolatrous at bets. Now, I get it. She’s saying “Don’t worry about what you can’t control, work at what you can”. But aren’t you glad we know Someone so much more real, so much more powerful than the stars and the dandelions? Someone that MADE the stars and dandelions? How grateful I am to know the God of the Universe, to know that he hears my prayers, and that I can do his work in this world. Pray before you do. Pray while you do! The Bible has a lot to say about prayer and work both. 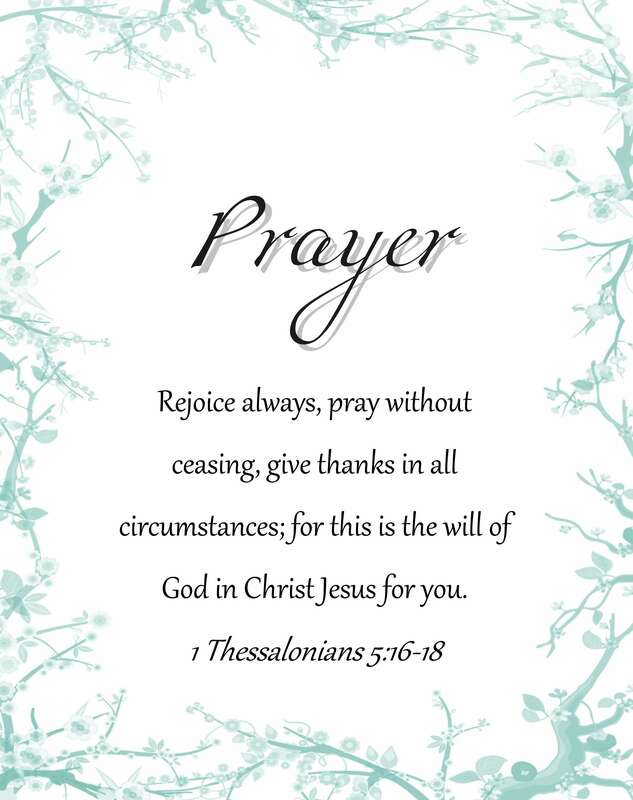 The Bible is very clear to pray in all things, all of the time. This does not mean you must be on your knees by your bedside 24/7; rather, prayer is an attitude of the heart. It is communion with God any time, anywhere. A constant awareness of his presence and his will, a relationship permeating everything you do. Whether it’s an hours-long prayer vigil to a whispered “help” or “thank you”, God wants to talk with us. The Bible is also very clear about work ethics. We must remember that we are not working for ourselves, or even for what we think God wants us to do. We are surrendered to him working through us, however he will – and we cannot be surrendered if we don’t know his will, and we cannot know his will if we do not pray. God’s version: Don’t skimp on good deeds. Now look, I love good sheets. Seriously, they make a difference. If you can only “upgrade” certain things, sheets should be on of them! I also advocate buying quality as long as it fits the budget. Buying good things and caring for them well is good stewardship! However: sheets are just things. They will arguably improve life because they may improve sleep, and sleep is pretty vital to our health and well-being. But you can’t take ’em with ya. Good deeds, though, those have eternal value. Whether it’s donating to charity, helping at a soup kitchen, volunteering, or simply caring well for your family – your deeds are what proves your faith. We are not saved by works. But we must work out our salvation, which means obedience and faithfulness to the Lord is the mark of a believer. If you do nothing for others but only for yourself, then your faith is worthless. God’s version: Fall in love often. Particularly with whatever is whatever is true, honorable, just, pure, lovely, commendable, excellent, or worthy of praise. I absolutely believe that we should fall in love with creation. But opening our minds to ideas, art, music, etc. with no boundaries in place is very, very dangerous. Not that the author is advocating unbridled exploration – the “rule” doesn’t say. But as with so much worldly wisdom, that can be the trap – the subtle “untruth” the devil uses to ensnare us. “Embrace culture! You’ll be richer for it!” Until the idea twists the truth; the art portrays perversion, or the music makes a lie sound melodious. We must use discernment in all things. Listen for the Holy Spirit’s nudges. If you think you shouldn’t watch that movie or play that album – don’t. God’s version: Fall hard and forever in love with Me and my children. Ok, whoa. Of all the “rules” thus far, this one jumps out at me as probably the most unbiblical. Sweet, sweet friends: this is the epitome of sin and at the center of the Fall. We want ourselves to be first and foremost. Be in love with nothing but yourself? This is flat out anti-God. I know the world doesn’t think this way. Worldly wisdom says to care for #1 and then maybe for others (if others at all). But God says to die to self. To love others as yourself, to put others above yourself. Love God first, then love others. Everything else – EVERYTHING – falls under loving God and others. For whoever would save his life[g] will lose it, but whoever loses his life for my sake will find it. Loving nothing but yourself is the surest way to ruin your life, and probably those around you, too. Join me next week for our last six rules, and the last post in this series!